When times of grief come, people often don't know what or even how to pray. 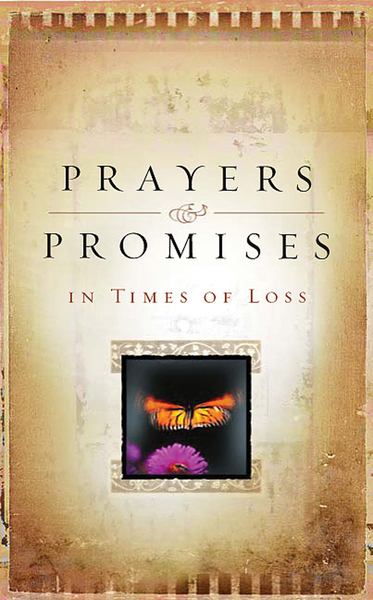 This book, Prayers & Promises in Times of Loss draws them gently back to the loving heavenly Father. Each page offers a scriptural promise and a beautifully written contemporary prayer to help readers hold on to their faith. Through the doubt, despair, and loneliness of loss, these honest and hopeful devotions guide the way to resting in God's never-failing presence. The book's beautiful design makes it easy to choose as a tasteful gift; the comforting content ensures it will be treasured.